A Statistics Canada publication revealed that according to the 2011 General Social Survey on Families, approximately five million Canadians had separated or divorced within the last 20 years. About half (49%) of these Canadians ended a common-law relationship, 44% a legal marriage and 7% both a common-law union and a legal marriage. It’s not only divorce between couples which affects a family business. Fallouts in relationships between parents, children or siblings can create chaos and confusion. In some situations, the devastating financial damage is permanent resulting in the demise of the business. Wearing blinders and fooling yourself into believing that “nothing” will happen to your family business is not the best approach. Believing that you get along great as long as Dad’s in charge or as long as your son or daughter have their way is a sure sign that the situation will change when the circumstances change. The events likely to change the circumstances are often sited as the 5 D’s: Death, Disability, Divorce, Disaster, and Disagreements. Filling in the blank for your own situation is helpful in examining the way your business operates today. We get along great as long as _________. What are your underlying conditions or circumstances? At a 2017 Ag in Motion event, Jolene Brown, Agriculture Professional Speaker and Family Business Consultant, shared her list of The Top Ten Mistakes That Break Up a Family Business. “Presuming a conversation is a contract” stood out from her list. Jolene clearly emphasized, “If it’s not in writing, it doesn’t exist…” There was a time when someone’s word and a handshake would constitute an agreement. This is no longer the case. An agreement like this cannot be validated. With no written confirmation, there’s no evidence to prove the actual intention of the farm owner. Jolene Brown made reference to a common message relayed from a farming father to his farming child, “This will all be yours one day!” Because the intentions were not put in writing, this never occurred. The dream of the family farm died when the founder died. I believe we know all the importance of having our intentions put into writing but there are “obstacles” that stop us from taking action. One of the biggest obstacles is procrastination which we attribute to our lack of time. We use this excuse rather than dealing with the tough issues. Some “thing” always takes precedence over the important “thing”. As difficult as divorce is, the aspect I appreciated the most was having an Inter-Spousal Agreement. When my former marriage was going south, my counsellor insisted that we speak to a lawyer about drafting an Inter-Spousal Agreement. The process was like putting in place an insurance clause. The document didn’t suggest the likelihood of a pending divorce but rather implemented leverage “just in case the marriage doesn’t work”. The mutual agreement was the follow-up plan. In fact, this document safeguarded and preserved our relationship when evidence showed our marriage would not survive. 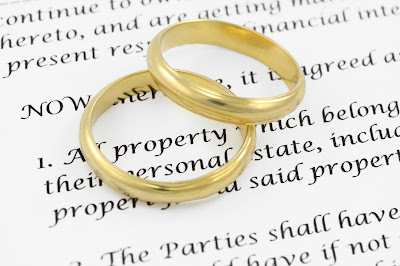 Our current property, pension plans, and child responsibilities were written into the Inter-spousal Agreement. When the time came to finalize our divorce two years later, no further discussions were required and no disputes occurred. Everything that was decided earlier made the final step easier. Our Inter-Spousal Agreement avoided hashing over property and child support which would have created additional legal fees. From the time of the initial separation to the finalization of the divorce, the most prominent and disturbing factor was interference from outsiders who suggested how things should be handled. The Inter-Spousal Agreement stopped this. The valuable lesson is to make decisions when conversations are friendly and the atmosphere is favorable in reaching a mutual consensus on matters of great importance. The written document is a glimpse of what you want to see occur both in the present and future. It’s a reflection of your best intentions for your family and you. Fear causes us to be overprotective. In specific cases, fear drives us to try and control the outcome, not necessarily in positive ways. 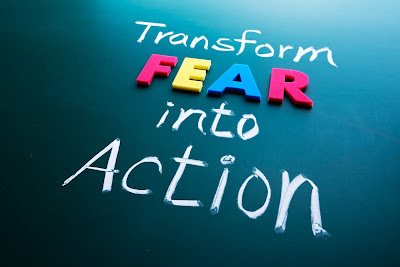 Identifying your fears, roping them, dealing with them, and discussing them with family members helps you face your major concerns related to your family business. 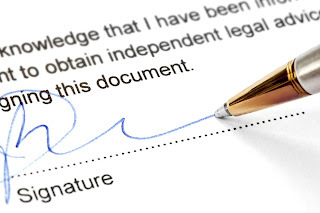 Fear should not stop you from signing your name to well-drafted agreements when you have had your “say”. Avoiding the creation of agreements is by far worse than not having one. 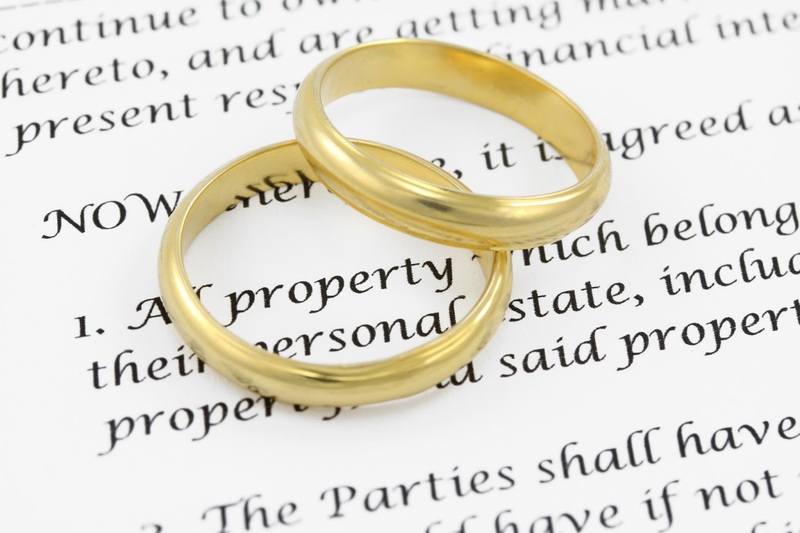 An agreement, even a prenuptial agreement, proves your willingness to work towards a favorable outcome. It sincerely proves that love and respect trumps greed over family-owned assets. Having Partnership and Unanimous Shareholders’ Agreements are part of a sound business plan to adequately deal with possible situations. Transfer this information into action. Put your intentions into well-drafted documents with advice from a lawyer as well as input from your accountant. To learn “How to Have Better Communication with Your Farm Lawyer”, click here. Elaine Froese provides a list of questions to ask yourself. Reading, learning, asking questions are about doing the right things to protect your interest, farm property, and family farm business. If specific concerns keep you from having a good night’s sleep, perhaps other family members have the same concerns and difficulties. Put your concerns to rest once and for all. Because I have been there, I can speak sincerely about the effects of depression. Feelings of helplessness, fear, and lack of confidence consume our abilities to think clearly. A depressed state of mind is not a happy place to visit and certainly not a happy place to live. Admitting our need for help takes great strength. In our weakness, we can be made strong. During my encounter with depression, I discovered an interesting fact. My depression wasn’t triggered by one major event but sneaked up on me in a series of events, big and small. The responsibilities, the unfortunate incidents, and the conflicts were likened to bricks being laid on my shoulders. The weight from the combined lot was overbearing and overpowering. Tears of helplessness overtook me without any warning. Like Jell-O, which wiggles and jiggles on a plate, I too had no backbone, no strength, no form. I was reluctant to take prescribed anti-depressants until a dear friend and pharmacist shared with me a different perspective, “If you had a headache, wouldn’t you take an aspirin?” Medication alone didn’t fix the depression. Talking to a counsellor to sort through the debris, the problems in my life, helped pull me through to recovery, allowing me to be freed from dependency on any medications. Life challenges are just that … “Challenges”. 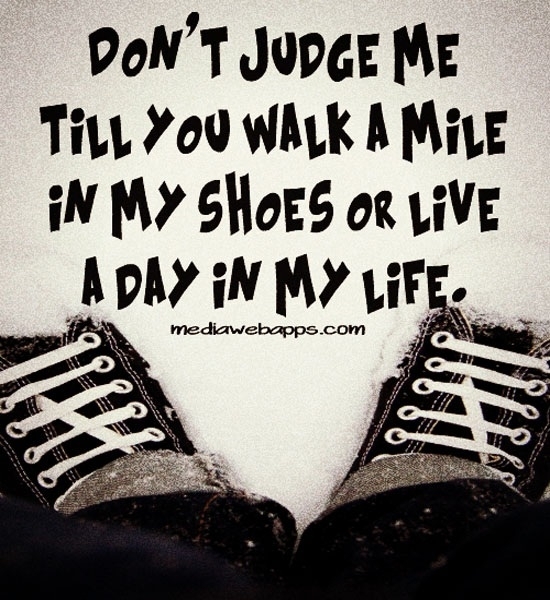 Challenges come in all shapes and sizes and mean different things to different people. 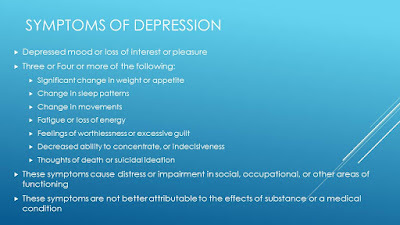 Regardless who you are, what your occupation is, or where you live, depression can sneak up on you. Our ability to face and deal with life challenges will depend on our own resourcefulness and support networks. The Canadian Association of Farm Advisors (CAFA), Parkland Chapter, invited David Dyste, a Master Practitioner of Clinical Counselling, to share his presentation about the Warning Signs of Depression and Suicidality in Farmers and Farming Families. Next to family members, we as farm advisors are often the farmer’s first point of contact. Knowing the warning signs is valuable knowledge for an advisor because often a farming client doesn’t recognize or is unwilling to confront their reality. They are consumed by their circumstances, assigning blame to a list of other factors, rather than willingly addressing their need for professional help. 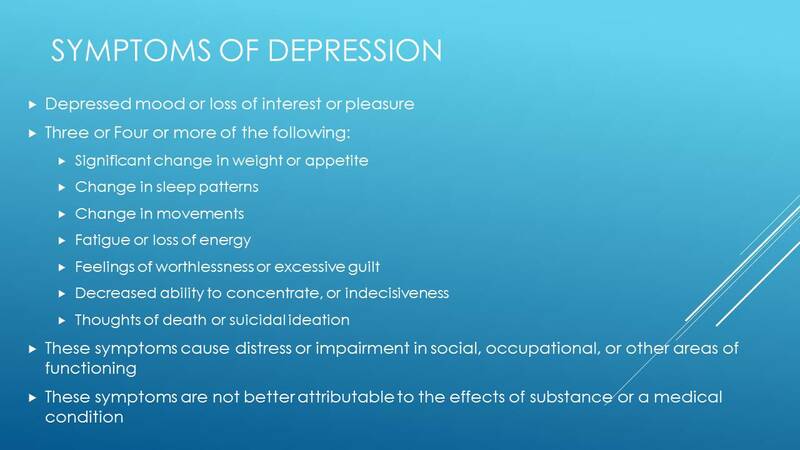 In his presentation, David adequately described the symptoms of depression for our benefit. The 2016 harvest was a devastating one, filled with high expectations and predicted record yields. For many farmers, the challenge was getting the grain from the field to the bin. The task was impossible when cloudy and rainy skies consumed the month of October. In November, when the combines made their way into the fields, their efforts were limited to only a number of adequate harvest days. Convincing oneself that weather conditions are out of our control is difficult. Last year was challenging beyond words when farm income and sweat equity laid in the fields over winter. Circumstances like this can leave many feeling helpless, hopeless, and trapped. Depression is sneaky, robbing you of your ability to think clearly. Logical reasoning is compromised and clouded. I have witnessed inappropriate business decisions made which resulted in irreparable financial consequences. It’s reasonable to assume that the triggering causes of depression may be financial conditions or disastrous events like death or divorce. Yet the true cause could be a series of episodes in our lives. Dealing effectively with them may require professional help. Depression cannot be left unattended, believing that you will “get over it”. More and more people are stepping forth to ask for help because they realize dealing with life’s circumstances on their own is too difficult. When we recognize our disheartening circumstances, we can effectively put action steps into place to turn them into favorable ones. There is hope because there is help. Dealing with our circumstances restores our ability to control them. Rather than feeling helpless, we can see options leading to our recovery. I know because I have been there. Knowing that help is only a phone call away can bring “relief” to a person’s stressful circumstances. The Farm Stress Line is available if you want to speak to a counsellor. Call 1.800.667.4442 or visit Mobile Crisis Services.